Provides services to rostered MVFHT patients such as blood pressure checks, ear syringing, suture removal, ECG’s as ordered by Physician, allergy shots and other injections. No appointments are required. This clinic is open every Monday to Thursday from 8:30 - 12:30 and 1:30 - 4:30 and Friday 8:30 to 12:30. 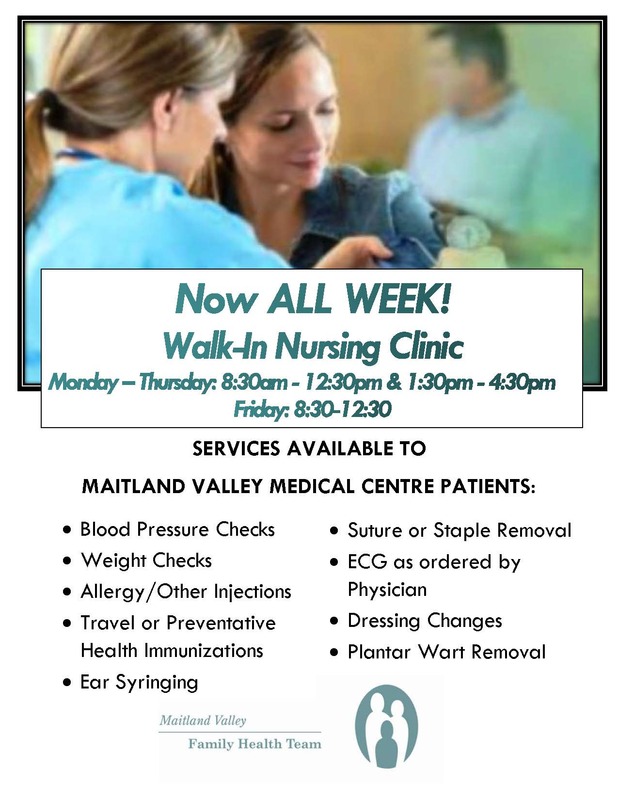 Please note this clinic is only available to patients enrolled with the Maitland Valley Family Health Team.